“The market for our work is very competitive and we have found that price does not always get you the job,” says Kent Waldron, Safety Director at Rocky Mountain Fabrication. “Safety and quality will always sell,” he says when talking about a few of the lessons he’s learned over the years in safety. 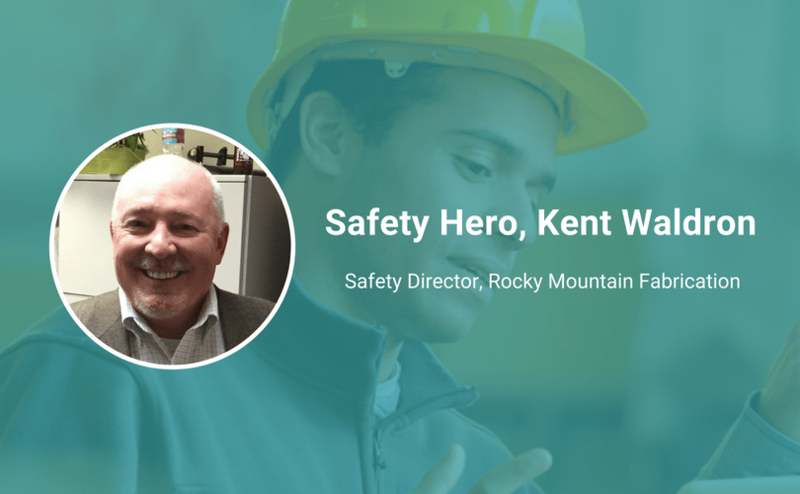 With decades of experience in safety and construction, Kent is currently Safety Director at Rocky Mountain Fabrication, a company he’s been with for 17 years. Rocky Mountain Fabrication’s mission is to be the best choice for field erected plate steel structures by providing the highest quality, best service, and impeccable safety record in the industry. Keep reading to see why he says you should never compromise your values—and why safety will only continue to be important in the future, especially in the eyes of your customers. Years ago, I needed to do a waste stream analysis for college class. I picked a manufacturing facility near school and observed their production process and they asked me to stay on board and get their safety policies compliant. Establishing a culture that considers risk potential. The market for our work is very competitive and we have found that price does not always get you the job. Safety and quality will always sell. Don’t compromise values to get along with coworkers. You must genuinely care for people and their wellbeing. Some days it’s hard to get consistency out of employees. Do it the right way each time every time. Additionally, you must know who you are working with. People are different, and you must communicate differently to some people. All incidents change you. They have an impact on someone and their family. When you get a co-worker’s spouse looking for answers as to why an incident happened. Sometimes history is the best teacher. I understand the logic of the thought process thinking this is an “reactive” way of things. However, if you use it as a risk assessment to what else might happen, you can change behaviors and prevent incidents. Safety does not make work more difficult or slow production. We all have someone depending on us. If we take wisdom that comes with age and start that thinking early in age, our bodies will be less likely to break down later. Rules are made for a reason. Generally, they are written due to a mishap by others. I know you know how to work hard, show me how you work safe. How do you see safety changing in the future, and where do you think the future of safety is headed? Competition for work will continue to get tighter on price. We are already seeing customers looking for the right combination of reputation, safety, quality and culture (in any order) when awarding projects.